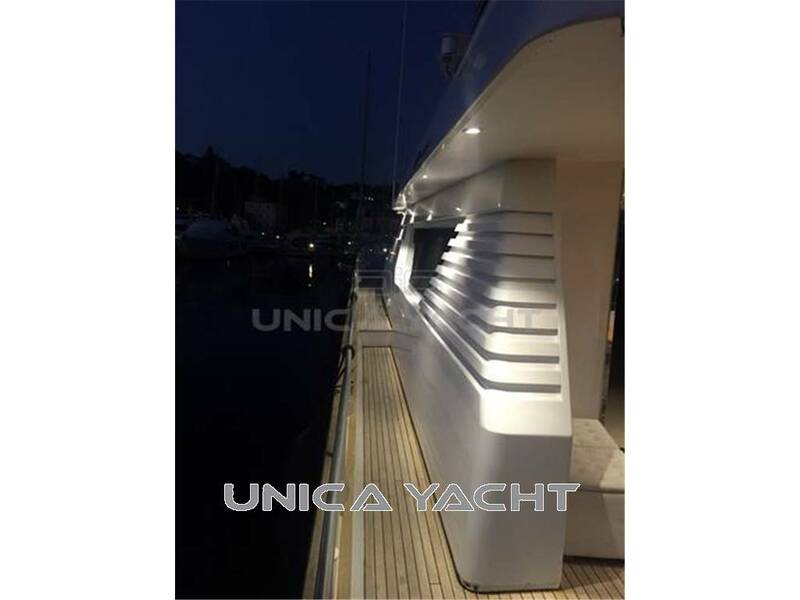 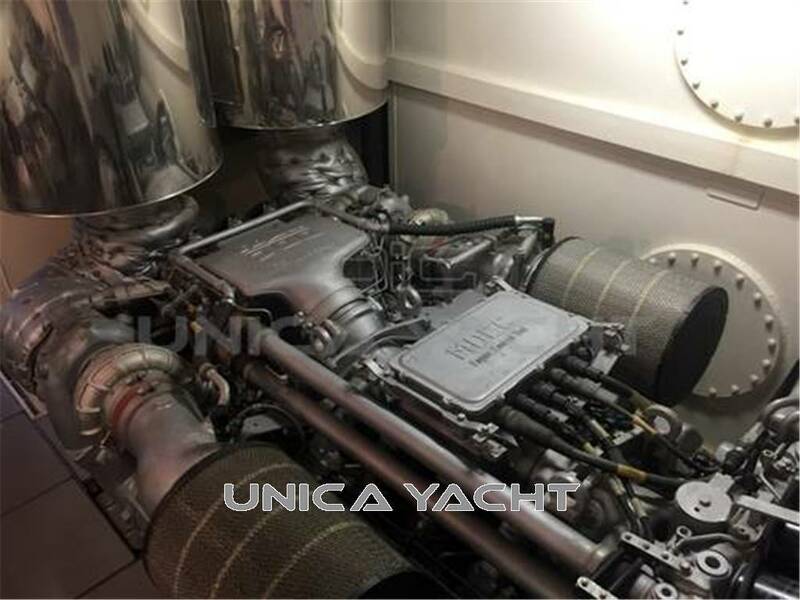 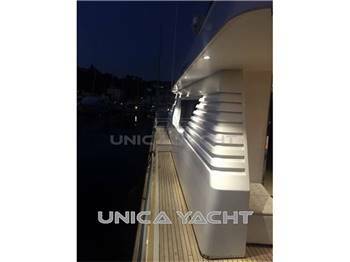 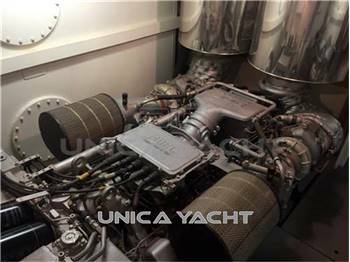 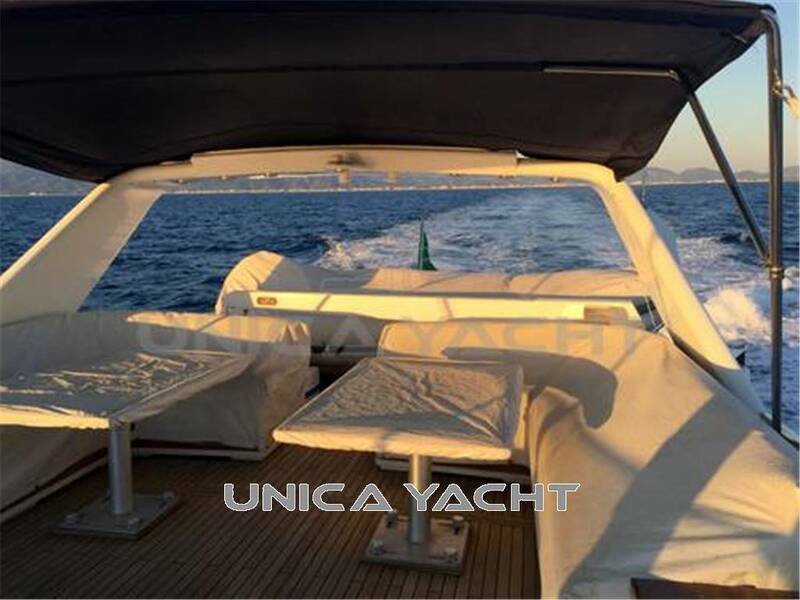 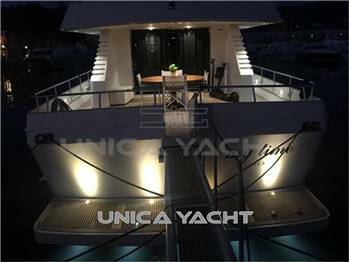 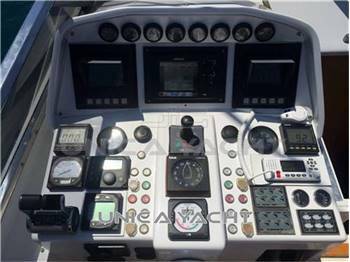 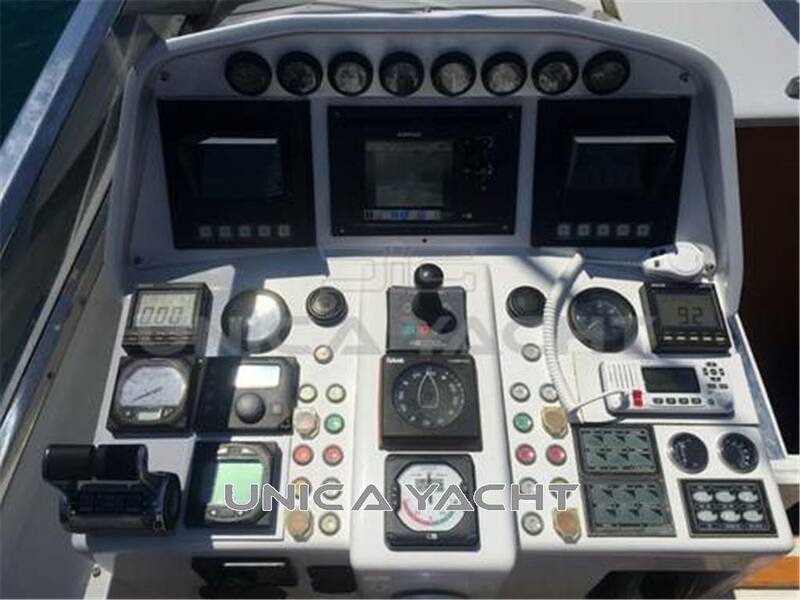 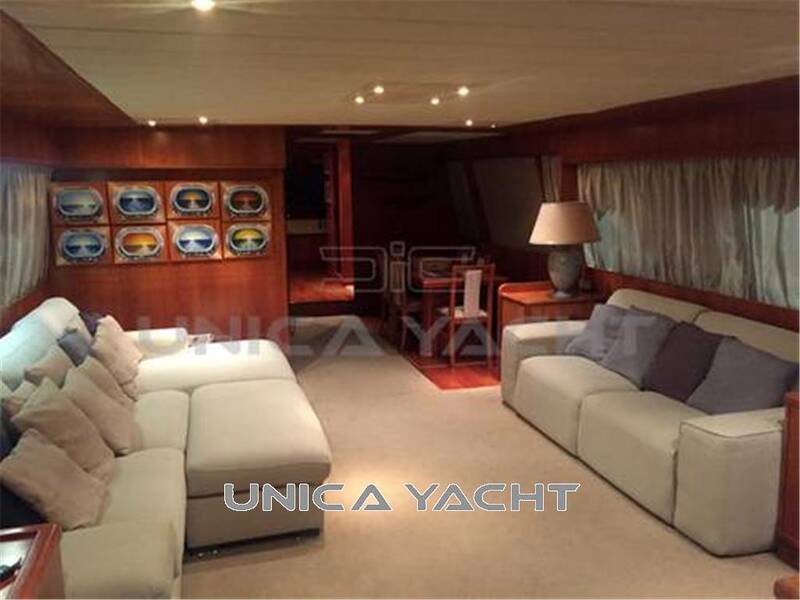 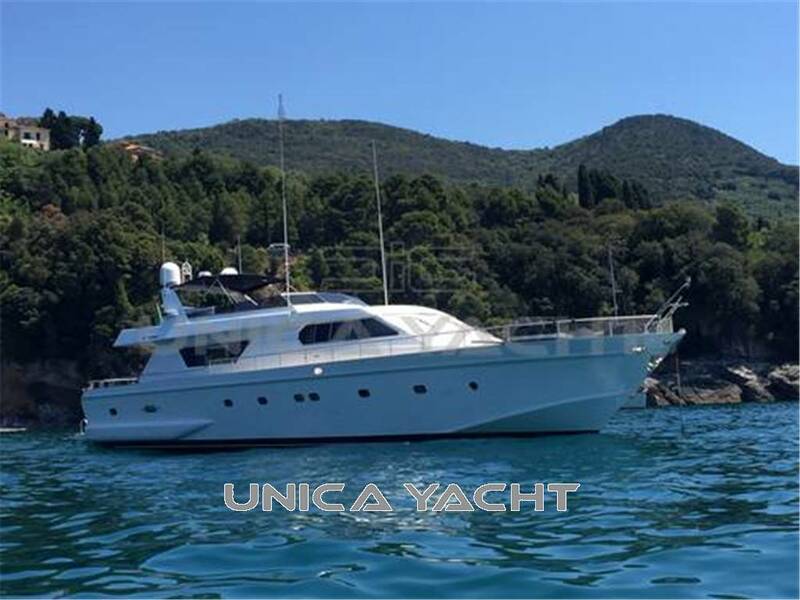 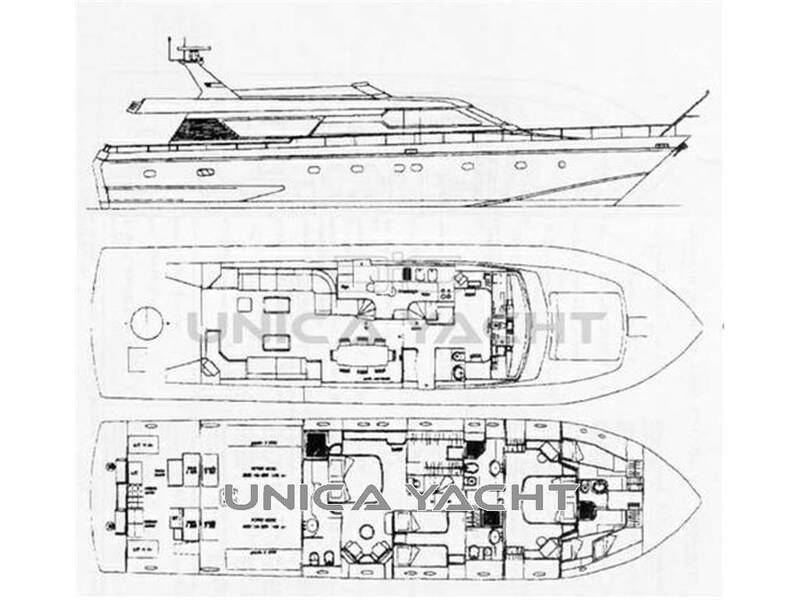 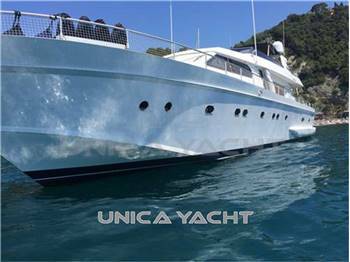 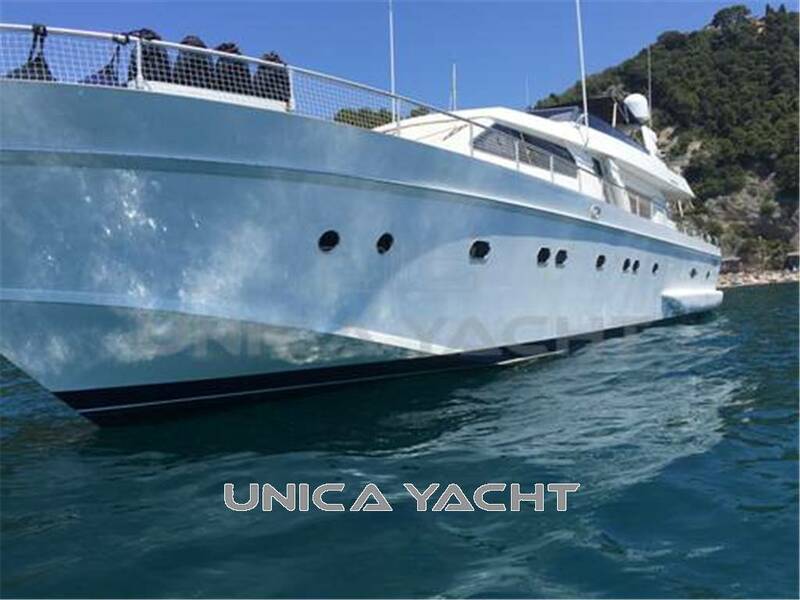 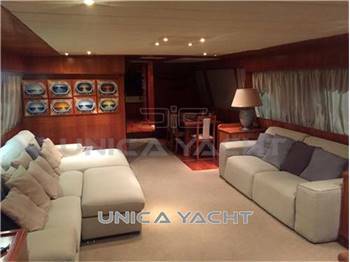 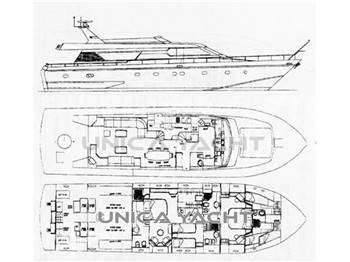 Imbarcazione inserita il 28/02/2018 da Unica Yacht srl - Imbarcazione visitata 2480 volte. CENTRAL AGENCY IMBARCAZIONE IN ESCLUSIVA DI VENDITA, COSTRUZIONE 1994, RIMOTORIZZATA NEL 2004 CON MTU 1520 HP ACQUISTATI NUOVI DIMOSTRABILE CON FATTURE , 3 CABINE 4 BAGNI, NEL 2016 SOSTITUZIONE GENERATORE 16 KW. 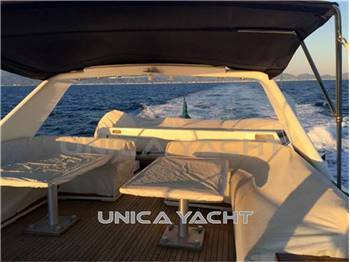 NUOVO E REVISIONE GENERATORE 20 KW., SVERNICIATURA CARENA A ZERO E TRATTAMENTO LEGNO CON WEST SYSTEM, SOSTITUZIONE DIVANI INTERNI, SOSTITUZIONE DI TUTTA L'ELETTRONICA PER LA NAVIGAZIONE, SOSTITUZIONE CARICABATTERIE E INVERTER, SOSTITUZIONE BATTERIE, MOTORI TAGLIANDATI (2017) E REFERENZIATI MTU, MOTOR YACHT PER INTENDITORI BELLISSIMA, SUPER SILENZIOSA ED IN OTTIME CONDIZIONI GENERALI. 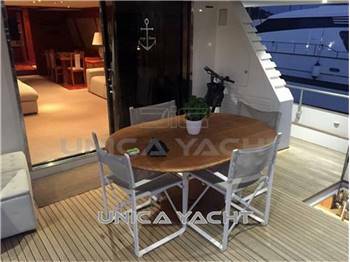 INTERNI IN CILIEGIO SATINATO, AMPIO SALONE CON 2 DIVANI CONTRAPPOSTI + MOBILE TV CON IMPIANTO HI-FI, AMPIA ZONA PRANZO CON TAVOLO PER 8 PERSONE, AMPIA CUCINA CON PIANO DI COTTURA IN VETROCERAMICA DOPPIO LAVELLO CAPPA, FRIGO E CONGELATORE INOX, BAGNO OSPITI VICINO ALLA ZONA DI COMANDO, 1 CABINA VIP A CENTRO BARCA CON BAGNO PROPRIO E CABINA ARMADIO, 1 CABINA OSPITI A 2 LETTI PARALLELI CON BAGNO PROPRIO, 1 CABINA ARMATORIALE A PRUA CON LETTO MATRIMONIALE E BAGNO PROPRIO, ALLOGGIO EQUIPAGGIO PER 3 PERSONE A PRUA CON SERVIZI PROPRI ED ACCESSO INDIPENDENTE.